In serving low-income households, Hope of the City has encountered many families/elderly people whose homes are in desperate need of cleaning/renovation and who lack basic appliances such as washing machines or refrigerators. Part of our mission is to holistically meet the needs of the poor - ranging from material giving to emotional support. With the help of dedicated volunteers and contractors willing to subsidise renovations efforts, Hope of the City is seeking to offer low-income households more comfortable living environments. 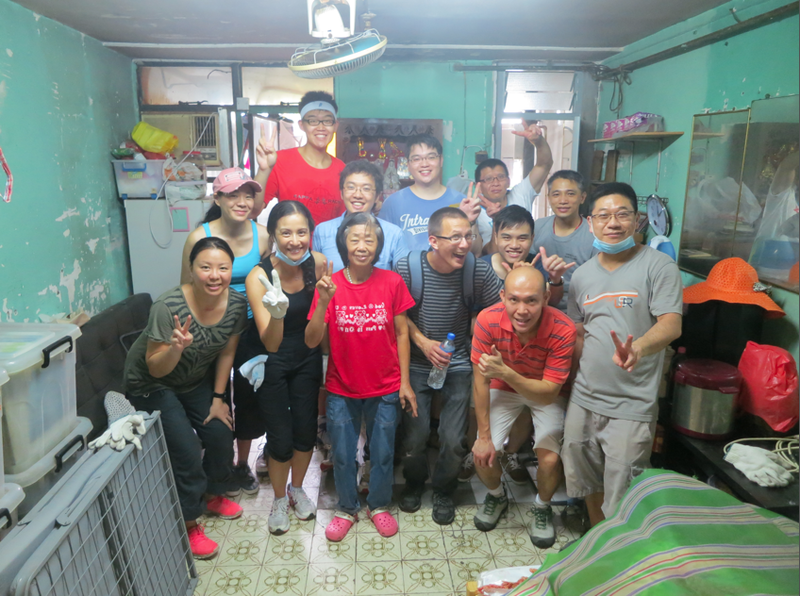 A group of volunteers who had regularly been visiting Chan Por Por took the initiative to start a home “make over” project to de-clutter the elderly woman’s home and give her flat a desperately-needed cleaning. Several care groups from Island ECC, men from Men’s Fraternity and Islanders basketball team joined together to pour love on Chan Por Por and make her feel valued. 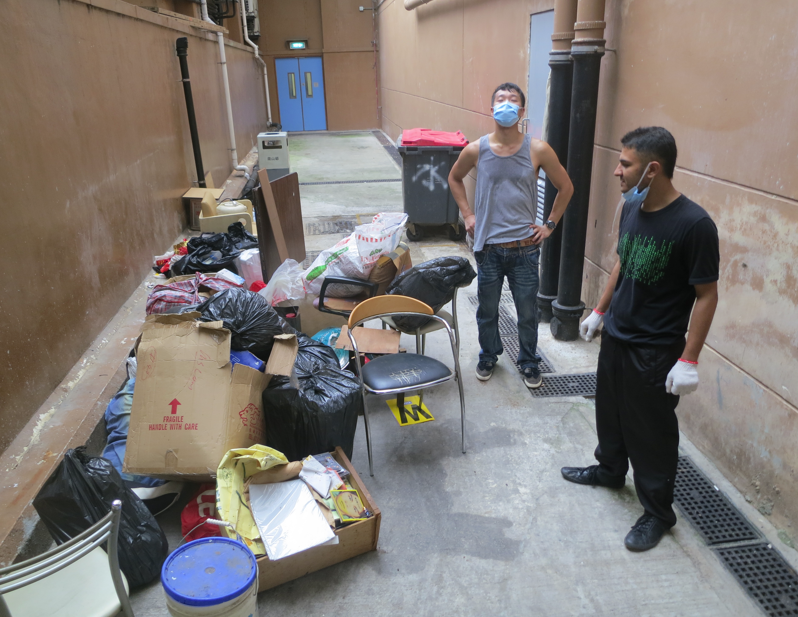 With patience and great care, the volunteers removed expired food, brought in an exterminator to kill a colony of cockroaches, sorted through soiled linens and disassembled an extremely heavy metal bed frame. Posted on March 26, 2014 by Hope of the City.